May 20th, 2012 (4:20 AM). Edited April 25th, 2016 by Freako. I grew up with Pokemon Gold as a kid, it was the first Pokemon game I had owned and I still play the story through from the beginning every year or so. But I wanted to play a new Pokemon game in the Game Boy Colour generation of games, I could never really get into the newer games. So I played Pokemon Brown and Prism and it inspired me to create a Pokemon Gold hack of my own! 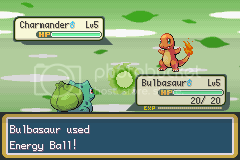 Basically Pokemon Bronze is made in a similar way to Brown, I don't have a lot of rom hacking experience (almost none before I had even started) I had messed about making crappy hacks for myself but now I am doing my best to basically morph everything from Gold's story and areas so it feels like a new game in Generation II. The Starters I've chosen are a mix of Red/Yellow and Gold. 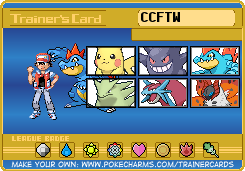 I went with Charmander, Totodile and Pichu as my personal "best of". The Story Is basically your generic Pokemon affair, It is set right after the events in Gold and you leave home and get a Pokemon from a professor and defeat gym leaders and the elite four with a group of antagonists to battle along the way, and a rival. That's the way I wanted to make it, a regular Pokemon game. The Region for lack of a better name that I can think of is called Kohto, which sits south west of Kanto (which is connected via underground path) It has 8 towns and some new things/features are more varied environments such as patchy grass that Pokemon are less likely to appear in, and trees/paths have fade offs into grass and stuff. A new basic Pokemon game in Generation II. May 20th, 2012 (7:25 AM). The screenshots look good and so does the hero sprite. Though I think you should have a story or twists to the story. May 20th, 2012 (8:25 AM). It looks good from the screenshots, and I also like the main character's sprite. One question though, you say that Kohto is connected to Kanto via and underground path, so is Kanto going to appear in your hack? And if so, will it be modified at all or the standard Kanto from G/S/C? Send a private message to Trainer Wants to Battle! Find all posts by Trainer Wants to Battle! Find threads started by Trainer Wants to Battle! Ignore Posts by Trainer Wants to Battle! May 20th, 2012 (11:56 AM). These are the kinds of hacks I love! From the screens I can tell that this is a quality hack, I look forward to a release! Want to help out? Just PM or VM me! May 20th, 2012 (1:29 PM). I'm sold because of the last screen! May 20th, 2012 (2:26 PM). Edited May 20th, 2012 by Freako. Originally Posted by Trainer Wants to Battle! 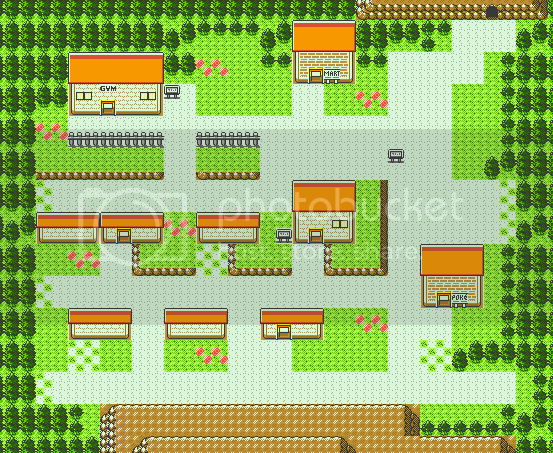 Yes, part of Kanto does appear! And has a segment in the story. It has only been modified very slightly though. 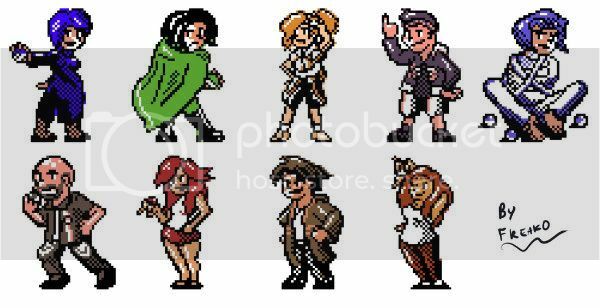 Oh, and here are some trainer sprites I made for the game. May 20th, 2012 (3:11 PM). A Gold Hack, how very rare!! From what I see, the screenshots look promising and with that, I wish you good luck with this project. Just curious, will the original 251 pokémon be in? Or, will you try add some 3rd and 4th, maybe 5th gen in ? May 20th, 2012 (3:25 PM). I'm not skilled enough to add in new Pokemon, it's just the original 251. Plus, I'm not really interested in the newer ones. May 20th, 2012 (11:10 PM). Hey there, Freako. Finally able to see your hack. It's a Gold hack. I hope to play the 1st Beta in a few months time. May 20th, 2012 (11:56 PM). Oh I don't plan on releasing a beta, I want to release the finished hack. With of course if there are any bugs, fixes for that later on. May 21st, 2012 (12:50 AM). May 21st, 2012 (5:37 AM). Nice choice of starter Pokemon. It's gonna be hard for me to decide between Pichu and Totodile! Oh, and how will Pokemon like Kadabra, Haunter, and Scyther evolve? May 21st, 2012 (5:53 AM). Without trading? I don't think I'd be able to implement that myself, no. This hack isn't so much about catching all the Pokemon, I'm mostly making it so people can have a new adventure in Generation II. May 21st, 2012 (5:56 AM). "So, tell me about yourself. Are you a boy or a girl?" May 21st, 2012 (7:25 PM). This looks fantastic, it's really impressive that you're so far through it already, it gives me hope that it won't get stuck in development hell, haha. May 21st, 2012 (9:44 PM). Yeap, even when I was in hospital for almost an entire month, every single day I was on my laptop working on this hack. May 22nd, 2012 (2:43 AM). I played a demo of this game and there were many things wrong with it. May 22nd, 2012 (2:44 AM). Oh shush you. :P That was months ago where barely that much was changed. May 22nd, 2012 (2:53 AM). May 22nd, 2012 (8:06 AM). sweay!a new hack of gold!would like to see a finished hack of gold here:D good luck! May 23rd, 2012 (5:12 AM). I got a lot of area text replaced today, I have about three more routes and towns left to completely change text in. Then I'm up to changing trainer's Pokemon and levels. May 23rd, 2012 (6:08 AM). How about making some secret gym, which is hard to find. :)) That would be more interesting. May 23rd, 2012 (6:22 AM). Nah, I'm not going to put in something that's necessary to complete the story which you can't even find, but there is a secret battle. That's all I'll say though. May 23rd, 2012 (7:29 AM). I guess it's not that all secret anymore. :P Goodluck anyway. May 23rd, 2012 (2:03 PM). Edited May 24th, 2012 by Freako. Well you don't know who it's against or where it is so, still pretty secret.